Before we dig in. We should clear something up – real fast. Many teach the difference between short-term money making and long-term business. And rightfully so – it’s usually true. Usually it’s one or the other. Short term gains OR long term income. Rarely both. Done even half-way decent and you’ll create a nice income. Done Right – and you’ll be able to rely on and expand on that income for as long as you want. And with more FREEDOM. One of the real businesses I’ll share in just a bit has a very low investment. One can start it up in literally – a day or two. Set up is even faster, as in less than an hour on location. And the stock investment – including the tools of the trade – will cost you less than $500. And part of that is COGS. 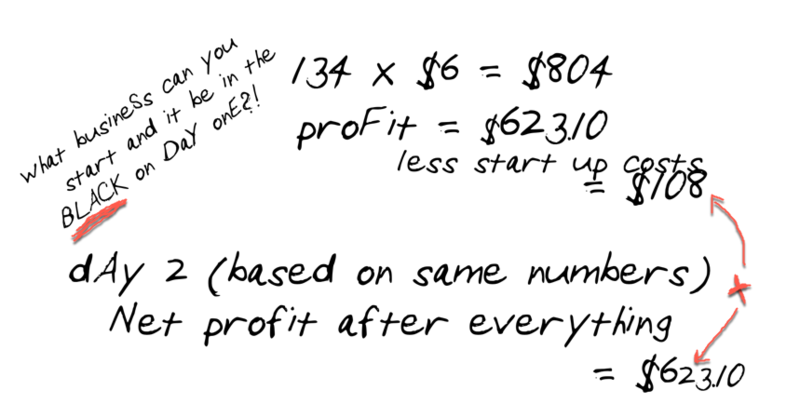 (cost of goods sold) – which means you’ll get that back plus a healthy profit on day one. I heard about this back in 2010 and started teaching others. Then in 2012/2013 I had to try it for myself. A small festival was taking place and although they had already gotten vendors. I asked if I could set up. They said yes. That’s just one of the real world examples. You’ve got more coming – your way. I’ve been doing this for a decade and have helped tens of thousands do exactly what I share here. It’s time to take control. Take your life in your OWN hands – and get that freedom you deserve.